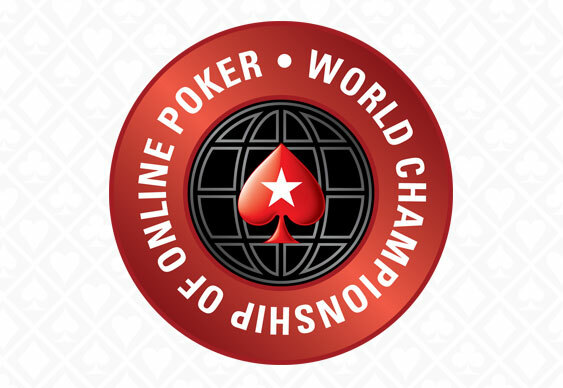 The PokerStars World Championship of Poker (WCOOP) got under way on Sunday and there's already been significant British success to report after Toby Lewis took down the $215 Turbo Rebuy event yesterday. All told at least $40 million will be awarded in prize money over the next few weeks culminating in a $5,200 Main Event which will awarded at least $8m in prize money with a guaranteed $1.25m going to the winner. 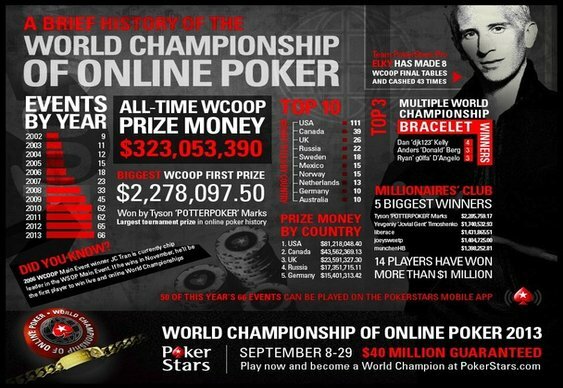 To get an idea of just how huge the WCOOP has become take a look at this infographic from PokerStars which tells the story of the 12-year-old series.